OLD PARKED CARS. 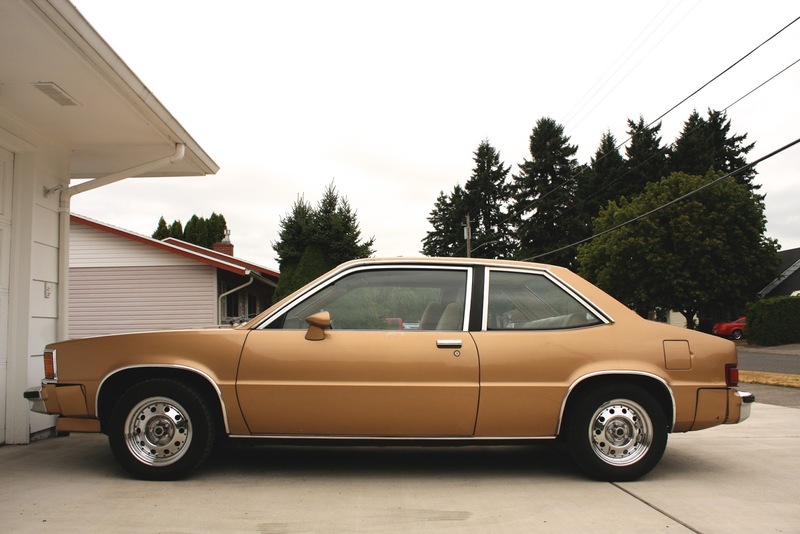 : 1982 Chevrolet Citation Notchback. ben, is there a reason you don't ever seem to post citations? i've been sitting on these pics since last august. What a straight, clean example. These look like GM simply chopped a few inches off the front and back of a Monte Carlo and installed the motor in the transverse axis (I don't know if they actually did this). My old manager had one of these, and he was a Car Guy. His was set up similarly to this one, with blackwall tires and simple chrome wheels. I wonder if those were a factory or dealer option? IMHO the key to the cars "style" is that quasi-understated simple look. Clean, simple, a little odd and unique. Sort of seeing style where there isn't any, if that makes sense. I had one of those !!!! It was a 1980 with a four speed standard transmission. Dang, that's clean. Very rare. Hopes were so high for this model (and other GM brand variants) when it came out - would this be "the one", the fabled import-slayer? Then, with its yawn-inducing performance and sketch quality, it quickly proved no no Kwisatz Haderach. Still, nice to see this survivor example. That Kwisatz Haderach reference is truly awesome. Very Excellent. surely the cleanest in existence, surely. There are cleaner ones out there, bbut this one is nice. Factory Vita-Vent sunroof equipped too. Very rare. veedubber, i can't believe that there is anyone out there that appreciates these more than oldparkedcars, but your comment suggests there's some micro-subculture of enthusiasts that is sincerely enthusiastic. really? you've seen multiple cleaner citation notchbacks than this one? Well, I know I've only posted one, but I may have photographed more. I think I ended up getting bored with them, as you seem to own the market on these. Not that any of us thought there was a market on these. I think the blue or gold 5 doors may be one of the more common early 80s cars I see. A testament to their quality or quantity sold. work would be covered with that beautiful, basic body. 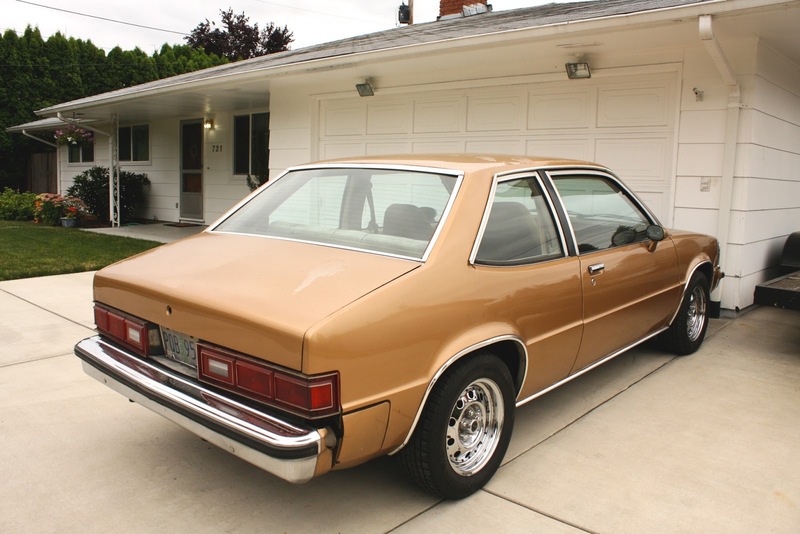 I believe the notchback was officially called a "Club Coupe", at least that's what my wife refers to the one she had years ago. 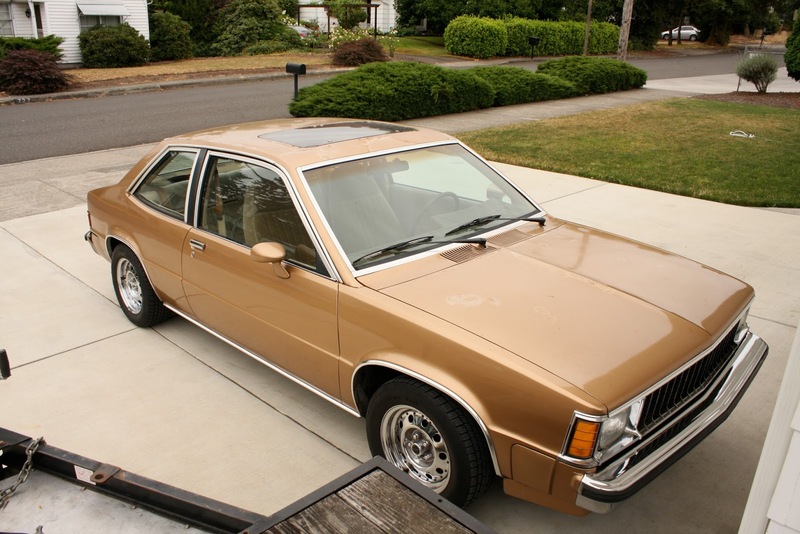 Hers was that late 70s / early 80s GM orange. My Dad had an '80 5 door with the Iron Duke and 4 speed stick. For some reason, ours was quite fast. Even the mechanics that drove it agreed that it seemed to have more power than most. Maybe it was wishful thinking, but I had fun driving it as a teenager. It'd chirp the tires in 2nd gear. The early 80's FWD GM's (and especially the X-Bodies are kind of becoming cult cars. I've seen quite a few very nice ones, the cleanest being a Pontiac Phoenix SJ which is similar to the Club Coupe posted here. Personally, I am more of an A-body fan and currently have three Celebrities in my fleet! Many of these cars were available with a 454 4-speed. I saw one once and the man told me it was stock. It also had a gleaming hepatitis stick and floor bibs. Do like. Thanks for posting! "It also had a gleaming hepatitis stick and floor bibs"
I've got an 85 X-11 with the 3800 Series II SuperCharged V6 with the 4T65E-HD trans swap...Plus a DIGITAL Dash from a Pontiac 6000 STE. There are quite a few still around. Some have been nicely modified (like mine). Several other X bodies still around too. I have an 81 X-11 black/black interior awaiting it's rebuild. And an 84 Skylark T-Type in process of getting rebuilt. If you would have popped the hood you can see that the FACTORY COWL INDUCTION hood if fully operational.